The phytosanitary protocol clearing the way for cherry exports from Argentina to China could be signed by the end of this month according to Argentine officials. The deal is expected to be formalised on 30 November during a bilateral meeting between president Mauricio Macri and Chinese premier Xi Jinping held under the auspices of the G20 Summit in Buenos Aires. 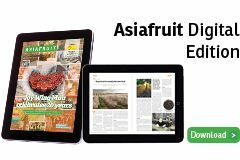 However, Argentina’s export opportunities will be severely curtailed by the conditions set out under the protocol, which require fruit to undergo cold treatment for a 15-day period as Patagonia is not recognised by the Chinese as a fruit fly free zone. This significantly narrows Argentina’s commercial window as it means that shipments would have to be treated prior to export if being sent by air, or during transit if going by sea. In both cases this would increase costs for exporters and prevent them from reaching the market during the crucial early window when prices are highest. However, CAPCI’s manager Aníbal Caminiti, said he was optimistic that Patagonia would be declared a fruit fly free zone after a follow-up visit by Chinese technicians which is due to take place in March 2019. 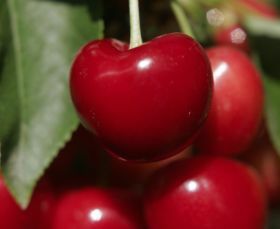 The Chinese market is a huge opportunity for Patagonian cherries, as prices there are typically 50 per cent higher on average than those paid in the US, Canada and Europe, Argentina’s main exports markets.